Top 10 Beaches in Goa. India’s ‘sunshine state’ has long provided a haven for those in search of the sun, sand and sea. 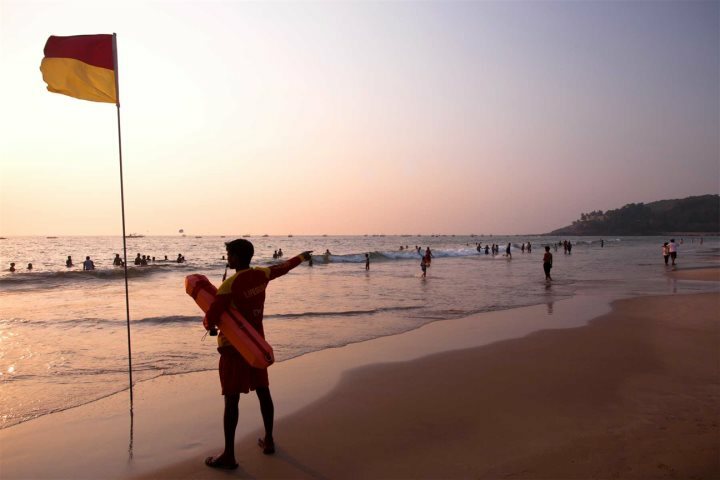 Boasting 105km of stunning coastline and an endless list of idyllic beach settings, there’s no surprise so many people flock to Goa for their beach holidays. The laid-back and picturesque state is all about relaxation, and in fact, the only stress you’re likely to encounter is in choosing which beach to visit during your holiday in Goa. 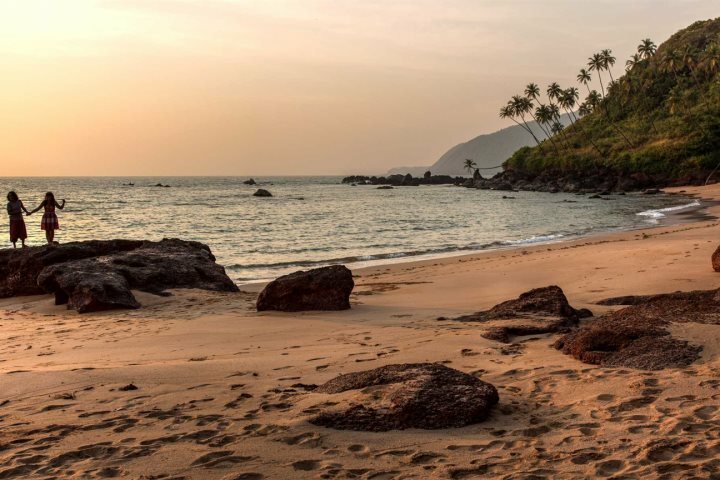 We’ve compiled the perfect list for those of you struggling to pick your perfect seaside location – presenting our top 10 beaches in Goa, all ready to be enjoyed on a sun-filled holiday. Discovered in the far north of the state, Morjim presents one of the more wild expanses of sand for you to embrace during your Goa holidays. Backed by a smattering of inviting beach bars and shacks, the beach’s most famous characteristic is its role as a nesting ground for olive ridley sea turtles. A little further south of Morjim sits Baga, showcasing an entirely different atmosphere to that of its neighbour. Isolation is swapped for infrastructure, resulting in a fantastically-vibrant atmosphere defined by an unbroken line of aromatic and welcoming beach shacks, all placed beside a long stretch of golden sand. 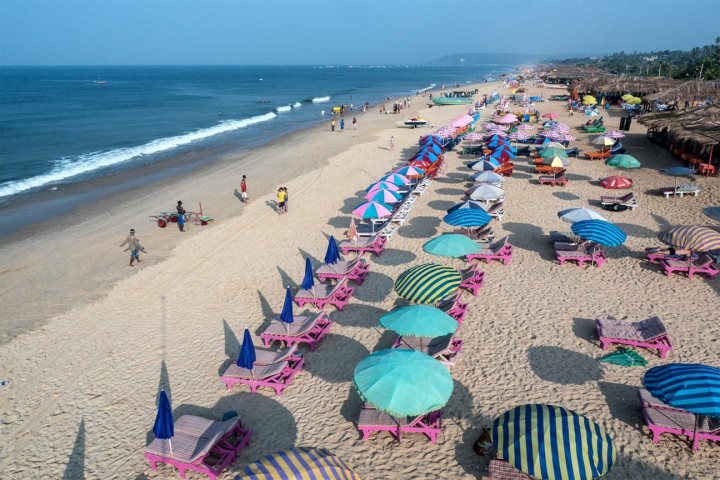 Among the most popular beaches for British tourists spending their holidays in Goa, Candolim and Calangute’s long strips of golden sand result in one of the state’s most inviting stretches of coastline. 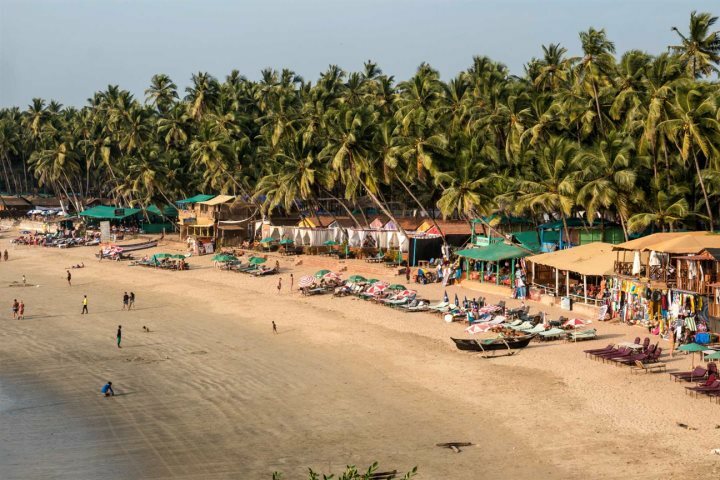 There's a very friendly atmosphere resonating throughout the resorts, best discovered over a delicious Goan curry in one of the eye-catching beach shacks. Encapsulating the languid and relaxed ideology of Goa, stunning Sinquerim is a sedate but beautiful place to lay your beach towel. The beach itself is decorated with a small collection of beach shacks, dotted along a long curve of sand, backed by towering palm trees. While these beaches may not be considered the most spectacular and expansive stretches of sand in Goa, there is a beauty and charm to these cosy little coastal spots. Small curves of sand are backed by steep cliffs and verdant pines, while the sunsets enjoyed here are among some of the finest in Goa. 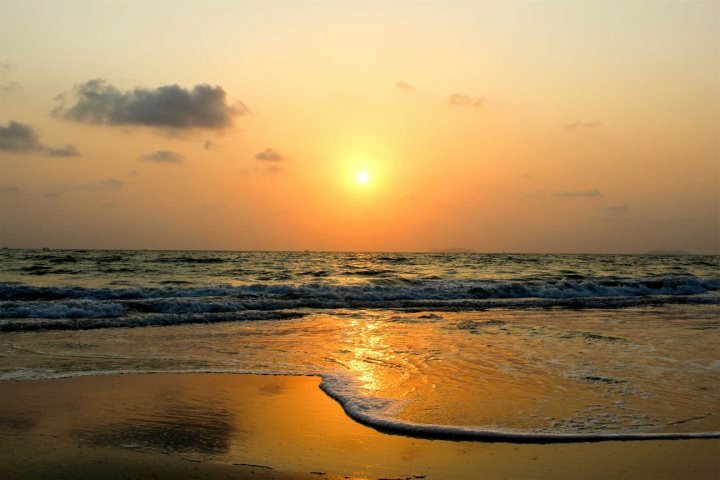 The southern beaches of Goa are renowned for being undeveloped and quiet destinations in which to indulge in some R & R. Colva comprehensively refutes this claim, defined by a charismatic and vibrant personality. Colourful fishing boats bob about on the water, bringing in the catch of the day, while the white sand is populated by sunbathers, beach shacks and excited parasailers. Tucked down into South Goa, Mobor is an alluring, laid-back hangout, perfect for tourists in search of holidays to Goa with a slow pace. It's easy to embrace the notion of rejuvenation here, especially given the spectacular spit of soft white sand, while the rustic beach shacks will gladly welcome you and keep you fed and watered throughout your stay. Often labelled as Goa’s finest beach, Palolem’s tag ensures it has a lot to live up to, and this breathtaking beach consistently delivers. A long curve of palm-fringed sand awaits those visiting Palolem, as well as some of the safest swimming areas in Goa. Though the beach isn’t as undeveloped and sedate as in previous years, there is still a charm and character here that can best be found in ramshackle beach huts serving tasty local grub. Arossim’s beautiful beach presents a long and wide stretch of golden sand, lapped at by clear blue water and backed by a dense forest of palms. Another of the beach’s highlights is its culinary offerings, with superb beach shacks such as ‘Zeebop’, located just to the south of the beach, serving up delicious and fresh seafood to hungry beach goers. 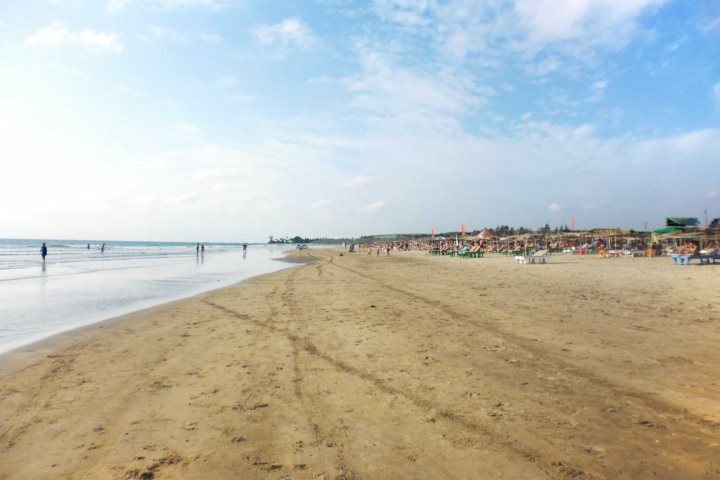 Find out more about holidays in Arossim here. 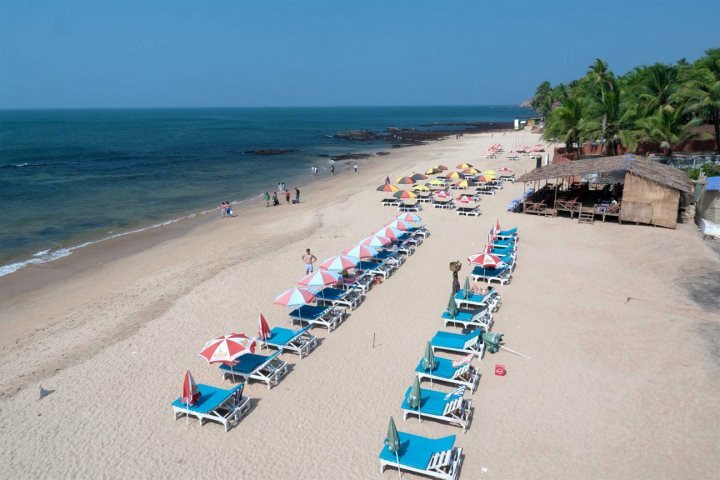 If you’re looking for that unprecedented sense of peace and quiet, amid the blissful and idyllic nature of one of Goa’s finest beaches, a holiday to Goa is incomplete without a visit to Cola Beach. The private beach is perhaps best known as the host of our Maharaja Night, where you can camp overnight in comfortable safari tents right on the sand. 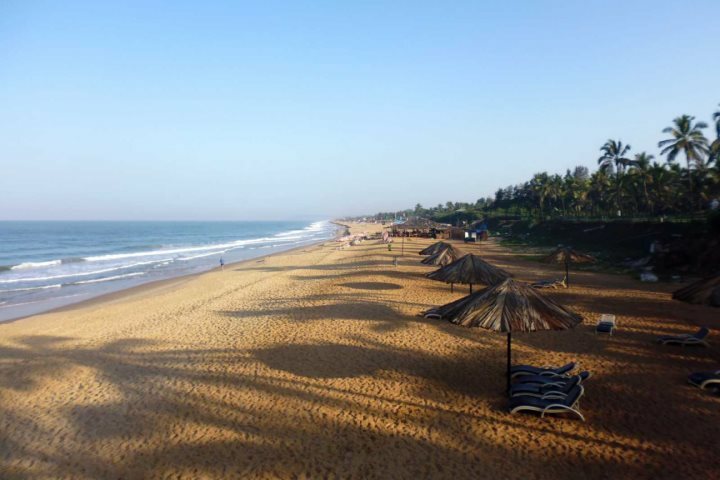 Need a little more information about the beaches of Goa? 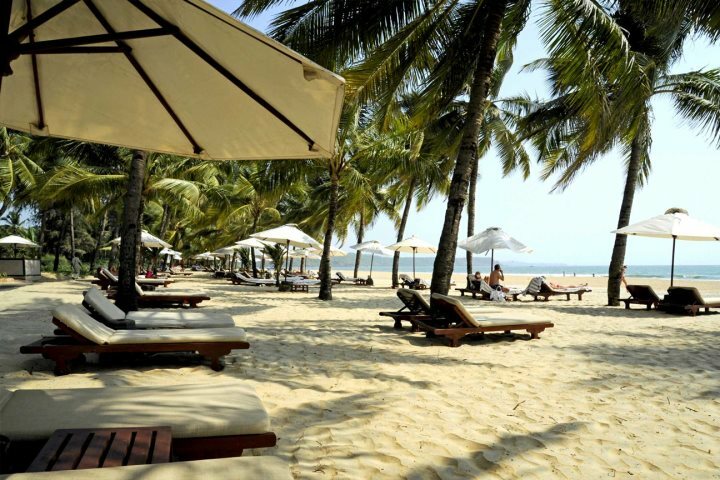 Check out our Beach Guide on our website where you can also peruse the great range of accommodation we offer across Goa. 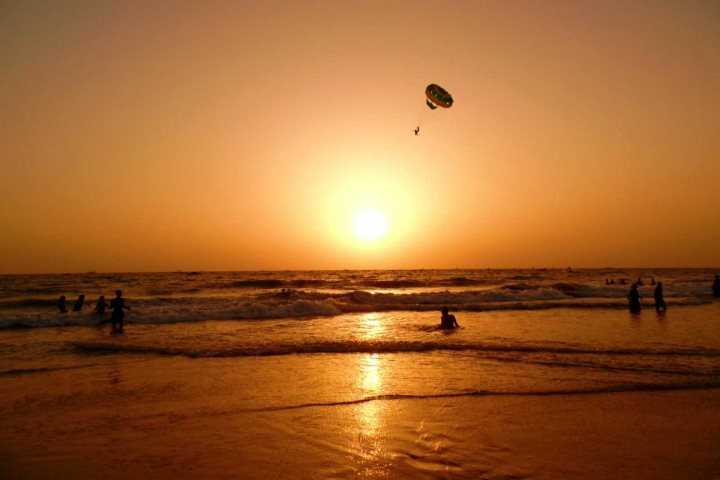 Have we missed out your favourite beach in Goa? Let us know by commenting below.